Today I made Strawberry Jam with some heirloom berries that would never have made it to a supermarket. They are very soft and very flavorful. I have been experimenting with Pomona’s Pectin and have tried making strawberry jam with grape juice concentrate as the sweetener. That one did not go over so well with sons. But my friend’s first graders told me it was great on their peanut butter sandwiches. 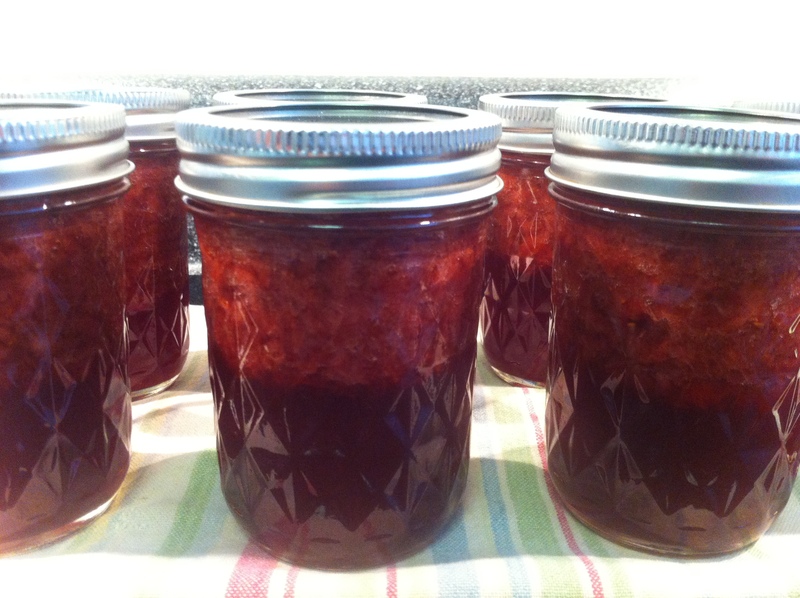 8 cups of crushed berries to 2 cups of sugar, followed the package directions, and made nine half-pints of jam.